With spending and hiring flat, CIOs seek efficiency in automation and outsourcing. Should IT workers be worried? 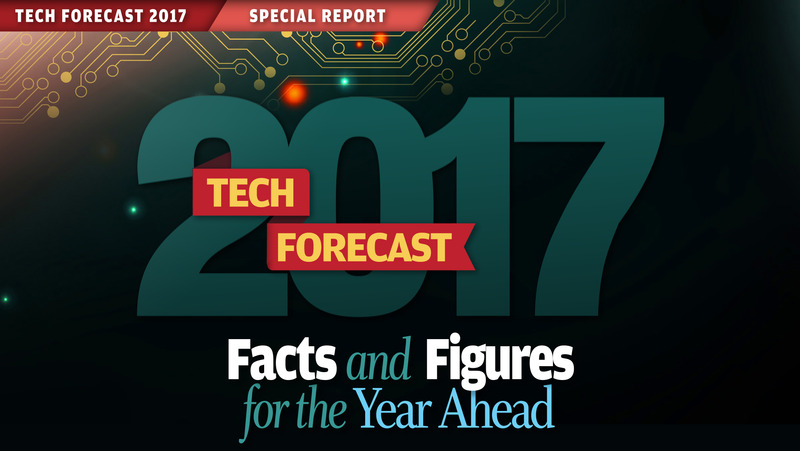 Tech executives are optimistic as they head into 2017. One of the biggest reasons for the hopeful outlook is the fact that business and IT are finally on the same page, with planned technology projects and overall strategic business goals closely aligned for the upcoming year. Bolstering productivity and enhancing customer connections and services are two of next year's top priorities for both business and IT, according to the results of the Computerworld Tech Forecast 2017 survey. 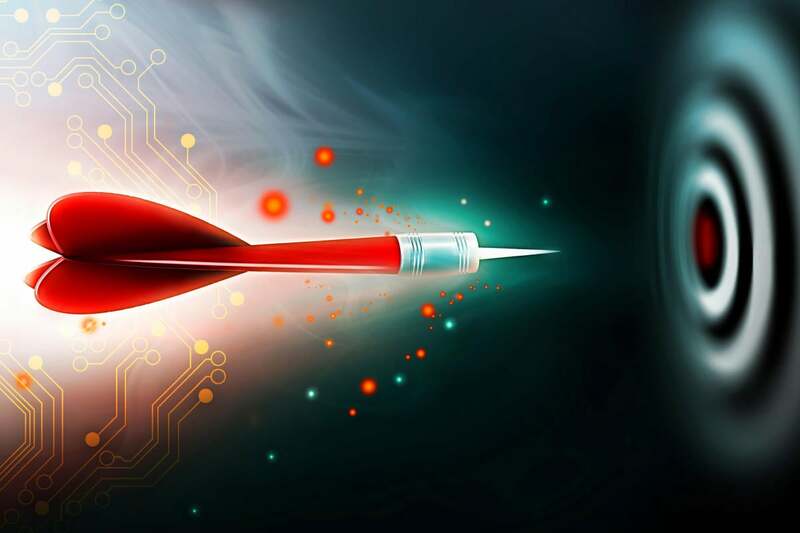 To hit those targets, enterprises will continue on the path to digital transformation, deepening their commitment to big data and analytics, as well as cloud computing and software as a service (SaaS). Overall, 78% of the 196 IT leaders who responded to the survey ranked their organizations as either keeping pace with or well into the digital transformation process. Just 6% reported they're ahead of the curve, while 11% said the process is not going well. That's in keeping with findings by research firm IDC, which predicts that, by the end of 2017, two-thirds of the CEOs of Global 2000 companies will have digital transformation at the center of their corporate strategies. As customers demand more control, "companies must deliver deeper, more personalized experiences through their products and services," says Robert Parker, an analyst at IDC. "Delivering this capability will define the winners in the digital economy," he says. "Of course, delivering on these promises requires a new operating model, one that's enabled by new technologies -- social, mobile, analytics and the cloud." While that all falls squarely into IT's domain, it doesn't necessarily translate to greater IT spending -- and may not bode well for rank-and-file tech employees. According to survey results, most companies plan to keep both costs and head count in check throughout their digital journeys by increasing automation to enable self-service IT. Tech staffing will generally remain flat or decrease at seven out of 10 organizations. One of the companies that isn't planning on a surge in hiring is Cushman & Wakefield, a commercial real estate firm that manages 4 billion square feet of property and has 43,000 employees worldwide, about 600 of them in IT. Global CIO Adam Stanley says, "2017 is all about growth," but rather than hire additional staff, the plan is to better connect existing employees worldwide. "Connectivity is really what enables the power of a large company," he says. To that end, C&W is building a knowledge network that all employees can use "to access all tools and all data," Stanley says. "We set a direction that, wherever possible, we will be digital. Any opportunity we have to digitize information, we will take." The company has already outsourced most of its IT development work, and a significant amount of its services are SaaS or cloud. "So we've [already] made significant reductions in the IT team and internal support," he notes. Stanley reports that Cushman & Wakefield's other main focus for 2017 is "big data" -- though he says that phrase annoys him because simply gathering a lot of data doesn't keep a company ahead of its competition. "The real point is to drive business value through strategic analytics," he says. "We're not following the masses to gather millions of lines of data to have it sit in a data warehouse. At the heart of our strategy is [gathering targeted data] to develop answers to the questions that clients are asking." For example, C&W is selectively tapping multiple sources of big data and using visualization technology to give customers a richer and more comprehensive view of properties. By combining things like transportation data, information about weather conditions and flight patterns, rental rates of surrounding properties and details about other buildings in a neighborhood, Stanley says, "we can really paint a picture for clients of what is happening in a market. We want to create a one-stop shop for a client," an approach that will replace the current practice of showing people various worksheets and graphs. At Cancer Treatment Centers of America (CTCA), which specializes in providing oncology patients with customized therapies based on their individual molecular makeup, gathering and integrating the right data can make the difference between life and death. "This is something I think about on a daily basis as absolutely critical to our mission," says CIO Kristin Darby. In CTCA's approach to cancer care, precision medicine is based on specific molecular qualities of individual tumors. Gathering this highly detailed and specialized information and then integrating it with population information requires a high level of data maturity, and that will be a key focus for CTCA in 2017. IT is a critical partner in CTCA's approach to cancer treatment, and the tech team is in full alignment with the organization's mission, Darby says. "This is because technology touches every function across the organization and [impacts] our patients directly," she explains. "In oncology care, a lot of the advances around precision medicine are targeted therapies made possible through technology." CTCA, like many organizations across all industry sectors, will continue to digitize its business processes in 2017, using automation to remove many steps that are now performed manually. Like many other CIOs, Darby fully expects this to generate a certain level of resistance among physicians and other trained caregivers. It can be difficult for people to keep pace with technology as systems continue to advance and rapidly grow more sophisticated. "It can make people uncomfortable to let technology take the lead [in clinical decision-making] and let technology feed them the information they need," she says. A perfect example in oncology is human genome de-sequencing. "That's terabytes of data that no human or physician not trained as a data scientist can process, synthesize and make sense of without technology," Darby says. At Valdosta State University in Georgia, CIO Brian Haugabrook says revamping business processes and automating where possible is absolutely essential if IT hopes to keep pace with the academic community's insatiable appetite for technology services. Education methods are changing to become more IT-enabled. A growing trend toward competency-based education, which involves students progressing through courses at their own pace, means course content must be customized, digitized and integrated with other data from instructors, academic advisers and university administrators. "Competency education is all about continuous enrollment and making application, scholarship, registration and other data available on a continual basis," Haugabrook says. Citing an example of how IT strives to support Valdosta State's educational mission, Haugabrook says his team identified and addressed two issues after tracking data from a VoIP system implemented in 2015. First, the analysis revealed that call volumes soared in August and January -- peak admission periods. During those months, calls were frequently transferred from one office to another. Second, call volumes dropped significantly outside of those two months. IT responded by setting up a centralized call center to handle general inquiries that previously were handed off to different departments. The result: a 50% reduction in hold time. In 2017, IT plans to enable the call center to address a broader array of inquiries on topics such as housing, admissions and financial aid by automating the integration of additional data from the campus ERP system into the call center system. "We're looking at having enterprise application teams coordinate with all departments to drive automation," Haugabrook says. But during the same period, IT will be challenged by budget cuts and a reduction in staff size, which will be brought about through attrition, not layoffs. In response to those challenges, "we're learning to be more efficient," Haugabrook says. "We're using a lot of automated software to remotely control PCs and manage all lab and classroom space. It's the same thing with infrastructure. We're doing automated updates, and we're using better tools for data visualization and analytics that enable us to work better and faster." Another big change is the creation of hybrid IT roles that combine job functions previously performed by two different people. The new role of integration specialist, for example, combines systems administration and programming. People in this role need to understand how different systems work and will be expected to map workflows between and/or across on-premises and cloud-based systems, Haugabrook explains. To get workers up to speed, IT will increase training, focusing on skills and technologies that deal with integration. IDC's Parker notes that having people work across functions is a key ingredient of a successful digital transformation strategy. Organizations that are the most ready to execute on such strategies are those where business and IT functions and processes are less siloed, he says. Like Haugabrook, CIO Eric Yablonka at the University of Chicago Medical Center will be focused on hybrid skills in 2017. "We're very interested in people who understand clinical processes and electronic medical records systems," Yablonka says. Healthcare systems are changing more rapidly than technologies in other industries, he says. Dealing with that rapid pace of change will be one of his greatest challenges next year. "All industries go through these changes enabled by technology," he says. "But the rate of change in healthcare is very steep. When Medicare was adopted, or DRGs [digital-related groupings] -- which is another way to pay for Medicare -- you had a few years to work through the changes. Now, these changes are happening in months." "If you like a large, complex challenge in a rapidly changing organization, it's the right time to be in healthcare," he says. "Personally, I couldn't be more excited." At the other end of the hiring spectrum, Noah Broadwater, CIO at Washington, D.C.-based Special Olympics, plans to bring several new IT professionals on board -- but only for short-term engagements of one to three years. They will work on the organization's biggest IT project, a new CRM system. In 2017, the Special Olympics winter games will be held in Austria, and the organization plans to implement a global, cloud-based CRM system that meets international privacy rules and maintains the personal data of athletes, donors and other constituents from around the world. It's the largest IT initiative the nonprofit has ever taken on, and it will position the organization to significantly expand marketing and fundraising operations in 2018, when Special Olympics celebrates its 50th anniversary. To increase retention of current IT employees during this critical two-year period, Broadwater will focus on staff training and development in 2017. "The best way to maintain people is to give them better skill sets," even if the new skills they acquire make them decide they need to go elsewhere, he says. "It doesn't work to hold someone back. If you give them the opportunity to learn, they often want to stay where they learned." Special Olympics has created a new group dedicated exclusively to staff development, focusing on offering IT employees training in leadership, management, finance and legal skills. "Technology is driving a lot of our strategic plan," Broadwater says. "We understand that's how things work. If you're not using technology, you're missing out. Technology is something to drive the mission forward." "I'm optimistic heading into 2017 because we have some big projects, but also because we have found funding," he adds. "We're in the honeymoon phase for these projects. But I know that in 2018 and 2019, we'll hit reality. Once we get past 2017, we'll need to raise more money to keep projects going." Like IT budgets, optimism must be assessed annually.